Micklegate Bar to reopen soon…. I don’t like to regard Richard, Duke of York, as a traitor. He was the rightful heir to the throne and had the dirty done on him. But then, I fear the Lancastrians were good at pinching the throne illegally and getting rid of the true king. 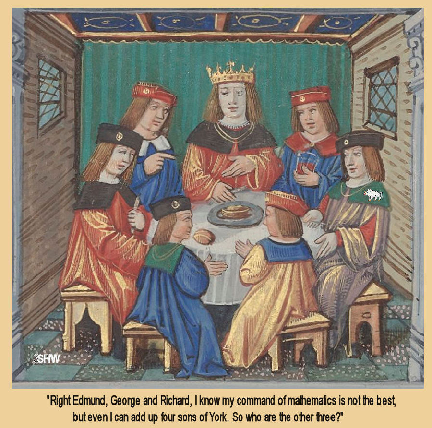 Just think of Henry IV usurping Richard II, and then that other Lancastrian liar and cheat, Henry VII, not only killing Richard III by means of treachery on the field, but then murdering Richard’s character ever afterward. I’m afraid that I will never, ever see things from the Lancastrian point of view. “RESTORATION work on Micklegate Bar is due to be completed next month. The work is part of a £1.5 million scheme to preserve and protect York’s medieval city walls. “Like so much architecture in the ancient city, the Micklegate Bar roof has a unique history. “It was constructed in medieval times and was used for the gruesome display of the severed heads of traitors. “However, the bar was entirely re-constructed during an intense rebuild period in the 1820s. “Now the gateway is being restored again to protect the scheduled ancient monument from the elements. “Micklegate Bar’s slate roof, lead guttering and timberwork is being repaired and, where necessary, replaced. Stainless steel strengthening ‘shoes’ have been installed to support the roof beams. “The heraldry on the front of the bar has also been repainted and re-gilded. “The Lord Mayor of York, Cllr Barbara Boyce, who visited the work yesterday, said: “This is a wonderful opportunity to get an in depth look at the fascinating restoration work taking place at Micklegate Bar. “The restoration started in July and is due to be completed next month with an aim to re-open Micklegate Bar to traffic by Friday, October 20. “The bar was the most important of the city’s four main medieval gateways and the focus for grand events. “The name comes from ‘Mcklelith, meaning great street in Old Norse, the language of some of the Vikings. “The bar was the southern gateway in to the city. “Several reigning monarchs have passed through the gate and by tradition they ask the Lord Mayor’s permission to enter York. “The lower section of the bar dates from the 12th century, with two 14th century storeys above. “The building was inhabited from 1196 and originally had a barbican built on the front, which was demolished in 1826. “Among the severed heads of rebels and traitors displayed above the gate, were those of Sir Henry Purcey (Hotspur) in 1403 and Richard, Duke of York, in 1460 the father of Richard III. A second ring was found within sight of Sandal Castle, and then lost…. While looking for more information about this ring, I learned that it is not the only one to have been found in the vicinity. 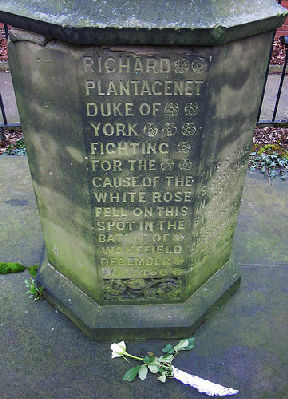 Another, now lost, was found at the spot where the Duke of York is believed to have fallen in battle on 30th December 1460. 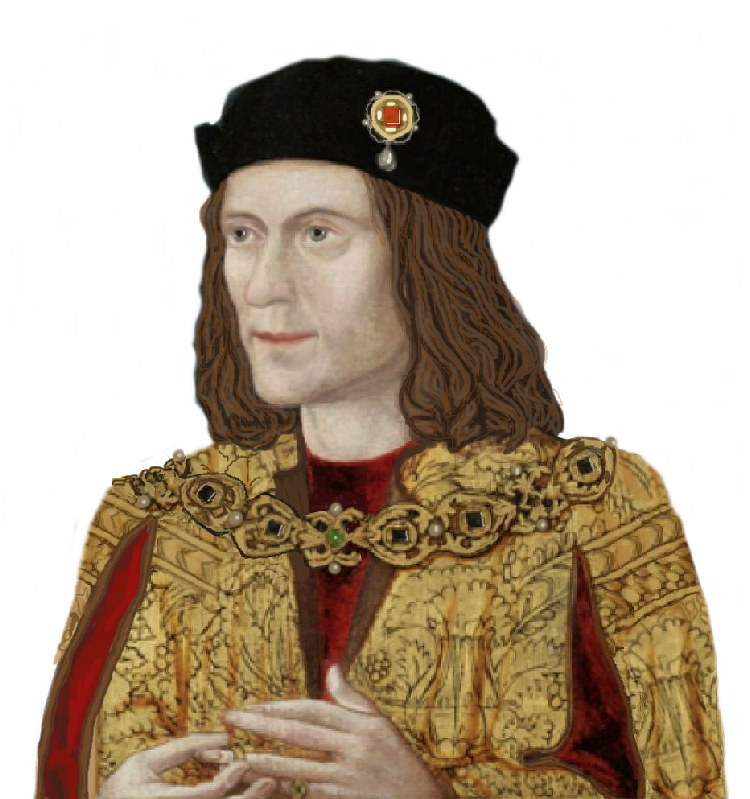 The book by Philip Haigh contains a great deal more about the circumstances and location of the duke’s demise, which came about for the same reason that his youngest son, Richard III, was to die. Treachery. Not a Stanley betrayal this time, but one by Lord Neville, who hoisted false colours at a critical time and changed allegiance to the Lancastrians. To learn a lot of details about the battles of the period, I recommend the book.